United Airlines will begin its 20th year of service to Israel with a new nonstop flight between its hub at Washington Dulles International Airport and Tel Aviv's Ben Gurion International Airport starting May 22, 2019 - subject to government approval. The new flight will be the first to be operated by a U.S. carrier between the two cities. United's new route to Tel Aviv will be the carrier's fourth flight to Israel. United currently operates twice-daily service between New York/Newark and Tel Aviv and daily nonstop service between San Francisco and Tel Aviv. Norwegian has reported that it carried almost 3.5  million passengers  in June, an increase of 14% compared to the same month previous year. A total of 3,497,286  passengers chose to fly with Norwegian in June, 437,883  more than the same period last year. The total traffic growth increased by 44% and capacity increased by 43% compared to July 2017. The load factor was 90.5%, up 0.8 points. IAG’s operating profit for the six months to June 30, 2018 was €1,115 million before exceptional items, an improvement of €165 million from last year. British Airways made a profit of €868 million before exceptional items (2017 restated: €740 million); Iberia made a profit of €102 million (2017 restated: €87 million); Aer Lingus made a profit of €104 million (2017 restated: €53 million) and Vueling’s loss was €-11 million (2017 restated: loss €-7 million). Strategic overview British Airways closed its New Airways Pension Scheme (NAPS) to future accrual and British Airways Retirement Plan (BARP) to future contributions from March 31, 2018. The schemes have been replaced by a flexible defined contribution scheme, the British Airways Pension Plan (BAPP). The changes resulted in a one-off reduction of the NAPS IAS 19 defined benefit liability of €872 million and associated transitional arrangement cash costs of €192 million. British Airways successfully launched a US$608.6 million EETC bond issue to fund aircraft deliveries. The bonds were combined with Japanese Operating Leases with Call Option (JOLCO) of US$259 million, bringing the total raised to US$868 million. The transaction includes Class AA and Class A Certificates with an underlying collateral pool consisting of 11 aircraft: two new Boeing 787-9, delivered between March and April 2018, one Boeing 787-8 delivered in September 2017, one new Boeing 787-8 delivered in June 2018 and seven new Airbus A320 NEO aircraft, scheduled for delivery between April and October 2018. The Class AA Certificates ($409.8 million) have an annual coupon, payable quarterly, of 3.800 per cent and the Class A Certificates ($198.8 million) have an annual coupon, payable quarterly, of 4.125 per cent. On 28 June, IAG launched its new shorthaul low-cost Austrian subsidiary, branded as LEVEL with flights from Vienna starting on July 17, 2018. The new subsidiary has an Austrian Air Operator’s Certificate (AOC) and will base four Airbus A321 aircraft in Vienna from where it will fly to 14 European destinations. As the International Air Transport Association (IATA) has formed an agreement with CFM International (CFM) to improve the opportunities available to third-party providers of engine parts and MRO services on the CFM56 and the new LEAP series engines, authorised CFM repair station Aero Norway is set to be a beneficiary alongside airlines, lessors, other third-party MROs and parts manufacturers. The benefits will accrue for all parties via increased competition in the marketplace for maintenance, repair, and overhaul services on engines manufactured by CFM. The result will be to reduce operating costs. 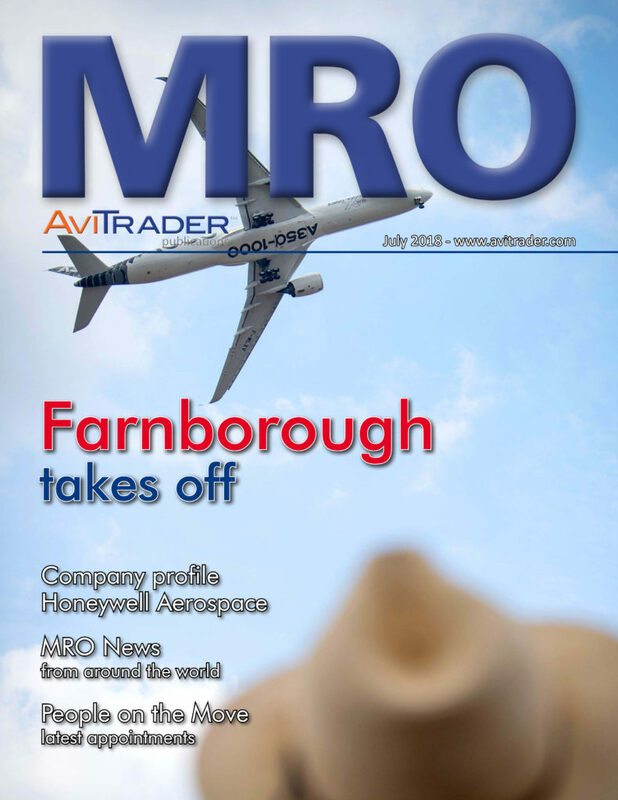 Glenford Marston, CEO of Aero Norway praises CFM on reaching such a significant agreement with IATA and considers the knock-on effect that their new conduct policies will have across the entire industry. Specifically the agreement covers CFM56 series engines. The CFM56-5B is the engine choice of the global A320 family due to its high reliability and durability, and the CFM56-7B is exclusively powering the B737 NG – making it the most popular engine combination in commercial aviation. However, CFM will apply the agreement to all commercial engines produced by the company, including engines in its new LEAP Series. Boeing has announced plans to open the new Boeing Aerospace & Autonomy Center in Cambridge, Mass., becoming the first major tenant of the Massachusetts Institute of Technology's (MIT) new mixed-use district in Kendall Square. Under the agreement, Boeing will lease 100,000 ft² of research and lab space inside a new 17-floor building at 314 Main Street in Cambridge. The new center will house employees from Boeing and subsidiary Aurora Flight Sciences, who will focus on designing, building and flying autonomous aircraft and developing enabling technologies. Rolls-Royce has delivered better-than-expected half-year results, allowing the company to raise its full-year earnings outlook. Pre-tax profit of £81 million was reported for the first half of 2018 compared to a loss of £126 million for the same period last year. Underlying operating profit was reported at £141 million compared to a loss of £84 million for the same period last year. As a result, the Company anticipates being able to post an underlying operating profit on the region of £450 million, give or take £100 million, for the full year 2018. The news comes on the back of the announcement earlier this year of the shedding of 4,600 jobs over the next two years in a bid to save £400 million, the largest reduction in the company’s workforce since 5,000 jobs and 1,000 contractors were shed in 2000. Chief executive Warren East commented that: “Financial results were ahead of our expectations, with strong growth from civil aerospace and power systems, and we achieved a number of operational and technological milestones. “Reflecting our progress to date and growing confidence for the full year, we now expect both underlying profit and cashflow for 2018 to be in the upper half of our guidance range.” He then added that Rolls-Royce continues to be “impacted by the challenge of managing significant Trent 1000 in-service issues”. 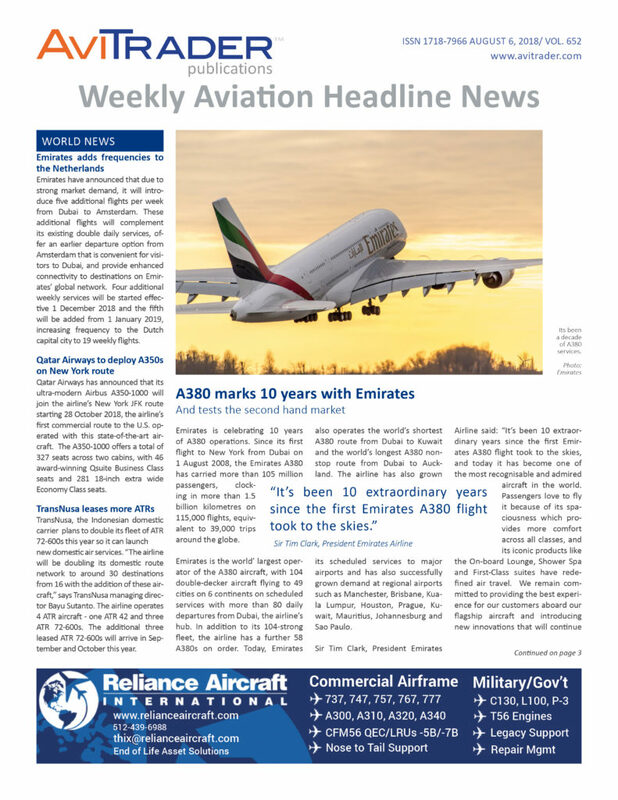 A £554 million writedown followed from a raft of technical issues with its engines, having uncovered durability problems with numerous Package C Trent 1000 engines, followed by revelations in June of issues with a small number of its Package B Trent 1000 engines. Rolls-Royce said: “The Trent 1000 in-service engine issues have caused significant disruption for a number of our customers, which we sincerely regret.